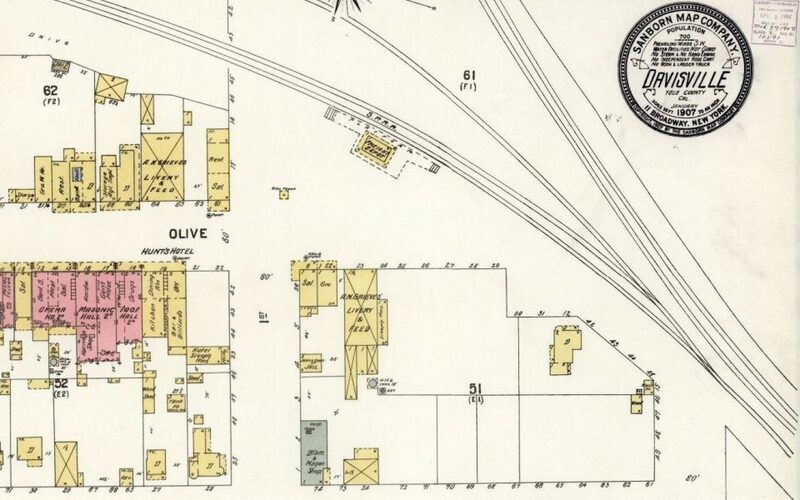 Map of Davis in 1907, when it was called Davisville. Map from Fire Insurance Maps online (FIMo). FIMo (Fire Insurance Maps online) is a user-friendly online research platform for finding historic maps. Through the UC Davis Library, researchers, students and anyone with a UC Davis CAS login can now access online fire insurance, real estate and other land use maps for California. FIMo makes finding maps easy with its geo-referenced search portal in Google Maps, map tools and search tips. FIMo can help you with research on urban development patterns, past property uses and occupants, family neighborhoods, local history, and more. · Place name search, using State and City Names, County Names, Historic Place Names, to locate related map sheets. To access FIMo from off-campus, use the Library VPN. If you have questions about how to use FIMo, contact David Michalski.